I wanted to build an HTPC with the following goals: 1) Small form factor, to fit in my entertainment center, 2) under $500, and 3) quiet, so my wife wouldn't hear it when the room's silent! After vacillating between discrete GPU vs non, I decided to go with a Ryzen that has an onboard APU. That narrowed down the case debate, and I settled on the In Win Chopin! The media I play from my Plex server's generally ready to play when I download it, but my other PC handles transcoding before the files reach this Plex server, so the CPU won't ever handle that load. The PC will likely never be used for gaming, but the onboard APU should handle any light Steam games I may play in the living room. The two solid-state drives, plus the ultra quiet Noctua CPU cooler (with the low noise adapter), resulted in a virtually silent PC! I can't hear the fan running from 4 feet away! I'd like to eventually add a 2.5" HDD, like the 4TB from Seagate, but I'm worried that the HDD may introduce more noise than I'd like. The build was pretty easy, though the SFF case does make things a little tough. Nothing bad though. I would recommend having a 'electronics screwdriver' that has an extender (or a flexible screwdriver). The only issue I ran into was that Windows didn't see the M.2 when I first booted it up, but it was showing in the BIOS. I found out you have to initialize M.2's to use them, something I hadn't encountered as this is my first M.2! I bought most of this as it went on sale, over the course of a month. I would've been under $500, but added the $55 M.2 at the last minute (and I'm glad I did). Low power draw, runs cool, ridiculously inexpensive. Super quiet, especially with the included Low-Noise Adapter! Note that it barely fits with the 'ASRock AB350 Gaming-ITX/ac Mini ITX AM4'; see two pics showing essentially zero clearance between part of the cooler and a couple random sticky-uppy things on the mobo. Being Noctua, the fan's brown, but the innards of my case aren't visible, so I don't care! I got one from Newegg, which advertises that you'll get a Raven Ridge-ready board! Has good features: wifi, good I/O, etc. Note that the Noctua NH-L9a-AM4 barely (less than a mm) works with this mobo. But it does work! See a couple pics on my build to see the clearance issue. Works as expected. Fast, inexpensive, compatible with my mobo. Had to initialize the drive, and it's been perfect! I use it to host the OS, and that's about it. Stupid fast. Works well. Decent price for the $/GB. ZOMG I love this case. Very stylish and well built! I picked it because it fits in with the rest of my aesthetically-pleasing entertainment center. Documentation's a little sparse, but putting together a system this simple ain't rocket surgery... I'd recommend having an electronics screwdriver with an extension (or a flex-neck screwdriver) for the mobo screws, as they're almost under the edge of the case. Cable management isn't super easy, but it's not terrible. Has a nice cutout to easily pass the SATA cables to the back panel. The power LED's just sitting behind a small hole drilled through the hefty aluminum faceplate. 95% of the time, you see a pleasant white light, letting you know that the power's on ... but if you happen to have your head at the same height, and are 'centered' with the light, it's blindingly bright (see pic in build details). That alignment occurs for me when I'm laying on the couch! I solved that by putting a 1/16" piece of electrical tape over that LED. Thanks! The title came to me on a four-day payote trip. And after building my first PC last year (a mid-Tower), I felt that the case was way too big. I love the case, it’s just big. I don’t think I’ll ever go bigger than micro ATX or mini ITX again! Thumbs up and congrats on the featured spot. Great build - you made some solid choices. Thanks! Sites like this one make way-too-thorough build planning a snap! I think I looked at the other Chopin builds on PCPP like 10 times, each! Do you happen to know the model of that TV stand and/or where you got it? It's exactly the style I've been looking for. Per the label on the back(!) it’s a ‘Progressive Furniture P754 Emerson Hills - White‘: http://www.progressivefurniture.com/Product/Entertainment/P754%20Emerson%20Hills/594507c4-d0ab-4266-af95-177adeec7100.aspx. Looks like it comes in a few widths/finishes. I got it from Nebraska Furniture Mart (www.nfm.com) for about $600 I think..? They have stores in Nebraska, Kansas, Iowa, and Texas, that I know of. FWIW, I love it! Super sturdy, good quality overall. Nice build, I've been wanting to build something similar but the last PC I build was 12 years ago (been using laptops since). Hope you can answer this. When I add ASRock AB350 with Ryzen 3 2200G here in part list, it gives me warning that I might need an older version processor to upgrade the BIOS. Only if I select x470 motherboards I don't get this error. Did you had to update BIOS somehow for this setup using an older Ryzen CPU? or if I get this board and cpu it would work just fine? Older's motherboard's potential (initial) incompatibility with new Ryzen chips ("Raven Ridge") is a huge pain. You can't assume that older motherboard's, like this ASRock, can use a newer Ryzen chip right out of the box. Newer AM4-socket boards like the B450 and X470's (e.g. https://www.newegg.com/Product/Product.aspx?Item=N82E16813119101) do support Raven Ridge from-the get go. If you are looking for a 350/370 board, if you can get one locally, a lot of shops will update the BIOS in-house and put a 'Ryzen 2000 Ready' sticker on the box. I've seen stories that folks buying from Amazon and Newegg have randomly received mobo's that've had their BIOS updated after the fact. I bought that ASRock mobo from Newegg, because they updated that product page to say, "Ryzen 2000 Ready!" 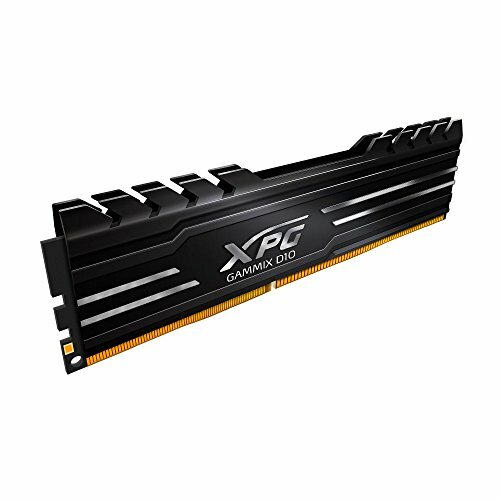 (https://www.newegg.com/Product/Product.aspx?Item=N82E16813157780). I haven't looked to see if Amazon's guaranteeing that there's are Ryzen 2000 ready? 1) if you (or a friend) have an older, unused AMD chip, you can use that older CPU to get to the BIOS on the mobo, update the BIOS, then remove that chip and install your Raven Ridge Ryzen CPU. I hope you can find a 'Ryzen 2000 Ready' board! FYI, Newegg often knocks $ off if you bundle parts like CPU+Mobo, or CPU+Mobo+RAM. On the 'May We Suggest' area of their product pages, look for 'Combos'. I was able to get the Mobo+CPU for about $15-$20 off. 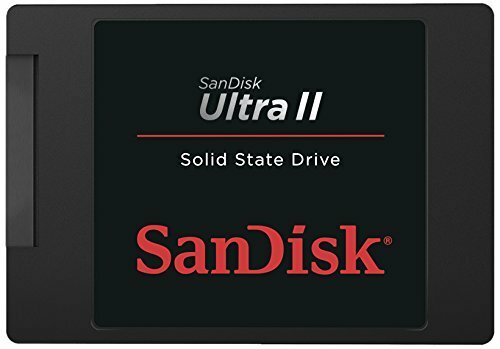 Quick question, I am looking at doing my first build as a casual, compact gaming rig in this case (using a Ryzen 5 2400g rather than a discrete GPU, partly for cost reasons). Given that the built-in PSU is only a 150W PSU, have you had any issues with power consumption? Is 150W enough to run the CPU, iGPU, CPU fan, both drives, the keyboard and the mouse comfortably? Was there much capacity left over for other things (e.g. phone charging)? Just interested to know. If the power supply was not sufficient, is it possible to upgrade it and retain the form factor? What form factor is the built-in PSU? Thanks! Pretty sure the power supply's a proprietary one, from what I've read. So I don't think an upgrade's possible. The custom PSU form-factor may be the scariest part of this build: if the PSU dies in a year or two, will I be able to find a replacement? I haven't measured my power draw, but I recall someone on reddit having almost the exact setup that I have, and It was like 30w at idle, or something. I'm sure I'm barely using any power, since I'm just using it as a headless Plex server, andI've had zero issues with everything running 24/7. There are several other 'Chopin + 2400G builds here on PCPP, and none complain about running into power issues. This guy https://pcpartpicker.com/b/NFCbt6 even overclocked his 2400G a decent amount, and didn't seem to have problems. Thanks for responding, I might wait and see if the Ryzen 5 2400GE comes out - might give the PSU a little more wiggle room. :) Nice to hear you've had no issues so far! I can’t hear the fan or PSU from like 8 feet away, when the room is dead quiet. I can hear a quiet whir from the fan when I’m like 3-4 feet away, but I’ve never heard the PSU. Thanks, it was fun to build, and I think it'll be a great little server! I definitely plan to try a second BIOS profile, where I see how far I can overclock this lil guy. Intel hasn't fallen anywhere homie. They're still the only pick for anyone that takes performance seriously. Either way, nice Chopin. Fun little case to build in. I know Intel is still the market leader, but the title makes for a fun play on a classic piece of literature! I agree that Intel still outperforms AMD in most direct comparisons, and I have an Intel in my 'main'/gaming PC. AMD's inexpensive CPU+APU chips have no competition from Intel though, so for this build (no discrete GPU), the $95 price-point of the 2200G made it an easy choice! Intel doesn't have anything that compete with those new APU's. Great performance/dollar there! There's no maybe about it. Core vs core, Intel has better products across the board. Except the new g series of course. Intel doesn't have anything that competes in that segment of the market. Okay. We'll go the other route and focus on the narrowing gap. We can use the newest 6/12 procs as an example. While the 2600x does barely narrow the gap, this is AMD's newest gen of products just released fighting against the 8700k which was released last year. The fact that the 8700k still dominates in every performance metric stock vs stock shows that even if the gap was narrowed it is inconsequential. Especially if an OC is applied. I think AMD has made great strides and I think they make wonderful parts for the price they're charging. I also think it's naive to think the gap is closing when AMD's newest can't even compete with older gen Intels. While I won't argue that the gap is small between Intel and AMD, the gap has narrowed in terms of IPC performance, which, given better handling of memory and higher potential frequencies the gap could close between Intel and AMD in 1-2 generations. Your argument sounds hyperbolic in trying to claim that Intel is worlds ahead, referring to their last gen being compared to this gen (a 6-month difference). I won't argue that Intel couldn't release a new product which extends the gap. But, the performance increase between Kaby Lake and Coffee Lake was pretty minimal aside from strapping a few more cores on their chip. AMD has shrunk the gap slightly while decreasing die size. That's not something that easily goes hand in hand. Your "high end" cpu's tested is flawed. No oc on either proc, and they're testing at 1440p where the GPU becomes the bottleneck, not the CPU. Take my air cooled 7900x for example, I'm running at 4.8ghz. The new Ryzen+ can't even do 4.4 so you straight up cherry picked results to favor what you were looking for. In regards to servers, yep, Intel is the leader. I asked my bff "how many of your companies clients use AMD?" And he literally laughed out loud and said "none." These are people that don't take contracts under a million. They don't care about price/performance. They care about performance, and there is a clear winner here regardless of how they allegedly got there. Clock vs clock doesn't matter. If AMD could get higher clocks then they would. They can't so they don't. Why take away a performance metric of Intels to favor AMD? Makes sense if you're completely one sided and looking for any argument possible to prove your side. That's fine. You can care about general users and renderers and all that. If you want to help them get better performance then you should point them towards Intel. To you what matters is price/performance. You can't go around assuming everyone needs the best they can get for the cheapest amount of money. Nor can you assume that anyone cares about good user-oriented practices. Do you care how your steak got to your plate? I know I don't. I just enjoy the steak. I don't protest how unethical it is to kill the cow to get it there. I don't need to worry about what Intel did to produce the highest performing parts. Doesn't affect me whatsoever. Needing ECC ram is niche as hell, and again just cherry picking things to make it seem like AMD is doing users a favor. What's better in your opinion, giving customers 5% performance increases year over year with new chipsets and technology (ddr4, PCIE 3.0, m.2 etc) or leaving customers high and dry with FX series processors for five years? Sorry, but are you actually knocking Intel for giving customers more choices and not just leaving us with the same FX8320's for half a decade? Is that really your argument? Your question may be that of adoption and philosophy, but you can't expect that to be the majority. Most people do not care how or why their chip is more than 10 percent faster. Isn’t there X299 mobos with ECC support? Alongside second hand Xeon’s being cheap and common. Where were you able to order the InWin Chopin Case from? 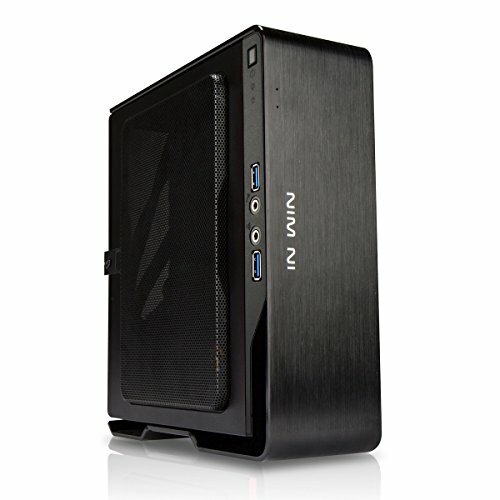 I bought mine from Micro Center's online store: http://www.microcenter.com/product/469278/chopin_mini-itx_mini-tower_computer_case_w-_150w_power_supply_-_black/. Looks like their online stock is out, but if you're in a city that has a Micro Center, most stores seem to have 1-3 left. Or maybe you have a friend in one of those cities? As of two weeks ago you could still get the Chopin from In Win's US webstore (estore.in-win.com), but it's now gone! Not only that, but I think In Win JUST removed the Chopin from their site's navigation options! It used to be visible in the 'Mini-ITX -> BQ Series' section of the site, but now it's gone! You can still go directly to the Chopin's page on In Win's site, but it may be getting phased out. Amazon's stock seems sporadic; I think they had a couple for sale a month-ish ago. https://www.amazon.com/Win-Chopin-Mini-ITX-stickers-Aluminum/dp/B01N091225/. Be careful with Amazon though, because when I first searched for "In Win Chopin" on their site, it took me to this similar case: https://www.amazon.com/WIN-150W-Mini-ITX-Black-BQ656T-AD150TB3/dp/B01LVV6WVU. That second case appears to kinda be the same, but has an optical drive..? Maybe it's the Chopin's replacement from In Win. You can get the Black or Silver for $130, including shipping (for me, anyway) from amazon.co.uk. Pricey, but it may be the only option left. I thought I might be getting one of the last Chopins, but then wondered if I was being dramatic when I saw a couple on Amazon, a couple left on Microcenter, and In Win themselves selling them. Looks like I may have been right after all :/ I hope not. Very nice. How does it look on your OLED? 4k output is good? I have the 55b7p costco special that Ill be moving to the master bedroom, and just ordered a 65e7p for the living room last night. Perfect. Once I updated (installed?) the Radeon software from AMD, the HTPC output 4k seemingly without effort. I'm not really using the TV as a display, as the HTPC will mostly be headless, but it's nice to have the option. And you're killin' it in the OLED department! Cool, thank you for the info. The OLEDs sure have spoiled me. I don't think I'll buy anything else unless there is another breakthrough in technology. The picture is amazing. may i ask you what the sound bar you are using is? been looking for sound bar that is of better quality than the 25 dollar one i am currently using. I have the Yamaha YAS-207BL. It’s showing as $300 at the stores I just checked, but two weeks ago I got it for $250 from amazon? My friends and family have a running joke where anytime someone asks me what —— to buy, no matter the product, I tell them to go to thewirecutter.com, and just buy whatever that site recommends! It’s got so bad, I don’t think I could buy a box of cereal unless thewirecutter tells me which cereal to buy! The site just does such a good job of explaining what they reviewed, how they reviewed it, and why they chose the pick they did. Very thorough. The site actually recommend the best overall pick as a 5.1 system from Visio, but I have no interest in dealing with the hassle of running power and wires up the back wall of my living room, so I just went with the sound bar+subwoofer combo. I also chose the Yamaha because it has 4K pass-through, which I am using. The sound from the Yamaha system is very good! Not ‘$1000 5.1 system’ good, but it definitely punches above its weight! thank you, now to hope that my 212 dollars was well spent for apartment filling audio. how do you use ryzen3 with b350 tho? Ryzen’s are compatible with B350’s IF the motherboard has a recent-enough BIOS that’s compatible... When I bought this, a lot of people were getting these mobos, only to find the BIOS wasn’t yet updated. They then had to get a free ‘loaner’ CPU from AMD to update the BIOS, then they’d ship the loaner CPU back to AMD, and could use their Ryzen CPU. I purchased this one because Newegg started putting “Ryzen 2000 ready” in the description of some of their mobos. They advertised that any mobo with that designation would be guaranteed to ship with an updated BIOS which supports Ryzen. Worked like a charm! Both USB ports on the case share one motherboard connector. This Mini ITX board has two USB headers on the motherboard: one header handles up to two USB 2.0 ports, the other handles up to two USB 3.0 ports. Just gleaning at the support docs for the 'Asus B450I Rog Strix Gaming motherboard', it appears that board has the same setup: one of its two USB headers supports two USB 3.0 ports. Thanks! Just what I needed to know! Using the stock cooler, and messing with the storage (Maybe m.2 + 2.5" HDD? ), I think you could get this build down to $475 without much effort. I know you didn't ask me, but given they're cats they will eventually find a way to sit on the thing.